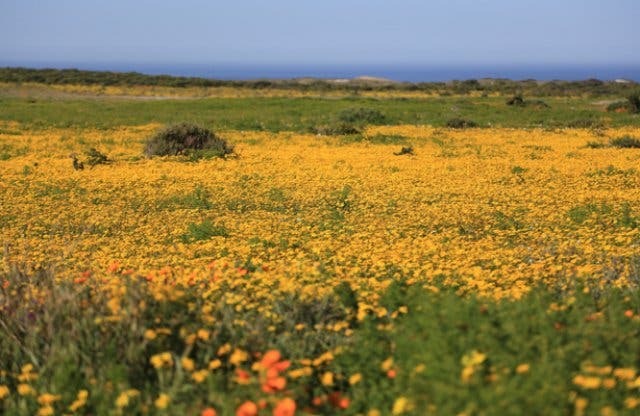 Perhaps the ultimate Cape seasonal flower experience, have a look at the Wild Flower Camp. 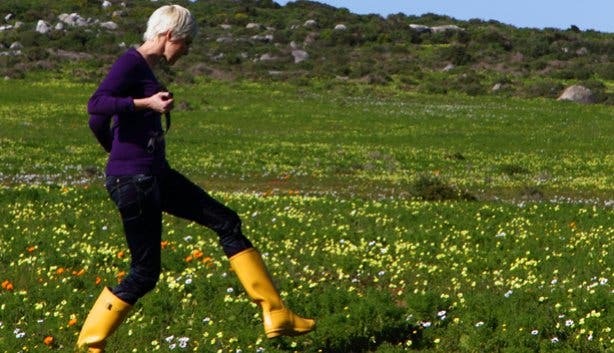 The Cape's seasonal wild flowers are accessible to everyone and any budget, of course. And in this feature, we're giving you insights into where to see them in the west coast, when and how to get there. You don't need to travel far to observe Mother Nature at her proudest. 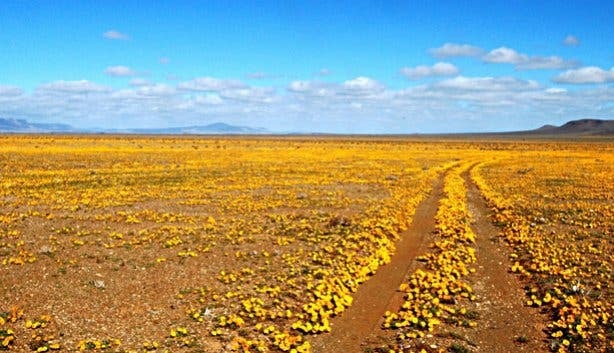 Spring flowers leave thick braids of colour over the sandy slopes and rocky sandstone flats of the West Coast National Park; and they throw back their vibrant heads, carpeting 30000 hectares of veld in shocks of white and yellow, under the great, big skies of the Tankwa Karoo National Park. 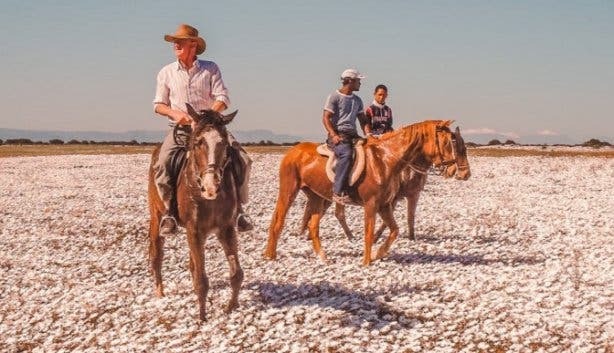 The West Coast reserve is just over an hour’s drive from Cape Town, and although Tankwa Karoo is four hours’ drive from the Mother City, it still trumps the seven-hour trek to Namaqualand. Where can I see spring flowers in the Cape Region? 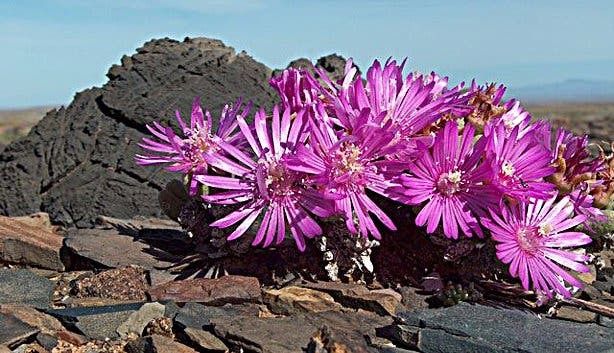 Two of the best flower-viewing hotspots in the Cape Region are the Postberg section (only open from August to September) of the West Coast National Park and the western section of the Tankwa Karoo National Park. 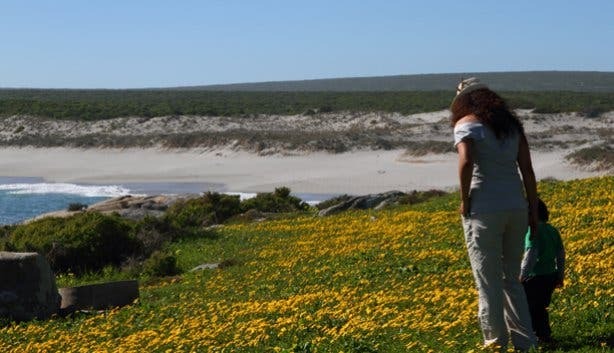 If heading to the West Coast National Park, enter through the Langebaan gate and drive toward the Seeberg area before moving toward the Postberg section. 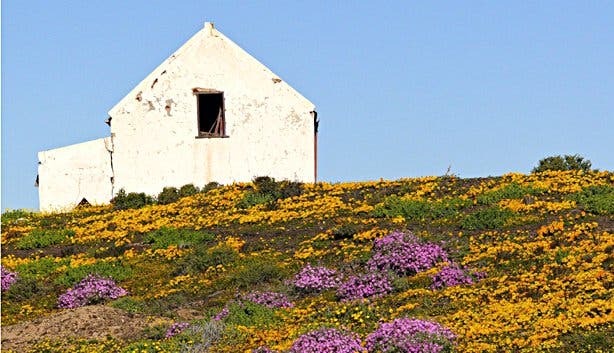 Keep an eye out for the Kraalbaai, Preekstoel (has braai facilities) and Uitkyk picnic areas; each treats flora lovers to a spectacular view of the blooms and the surrounding parkland. 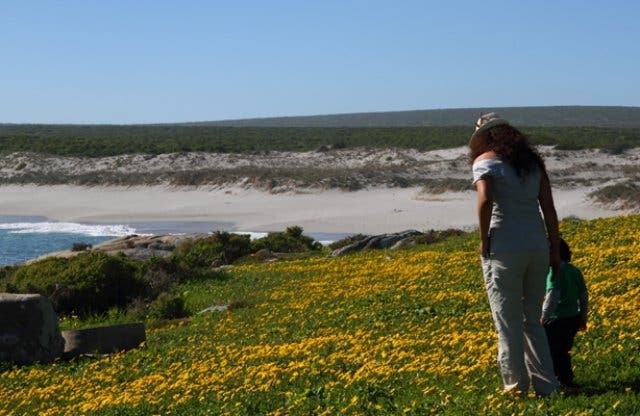 Also, don’t forget, the West Coast National Park’s charming Geelbek restaurant sells ready-made picnic baskets perfect for a lekker lunchtime pitstop amidst Mother Nature. 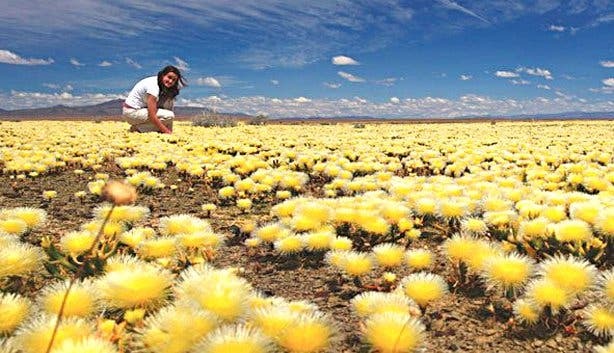 If trekking up to the Tankwa Karoo National Park, take in the colourful carpets of yellow and white blooms in the western section of the reserve before heading toward the Roggeveld Escarpment, where you’ll find budding beauties showing off their purple, deep orange, red and pink petals. Atop the mountains, rarer, more exotic bulbous plants and succulents dust the barren earth with their vibrant colouring. 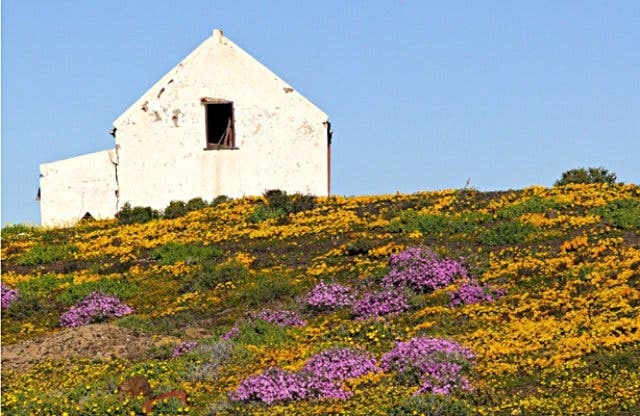 When is the best time to view the spring flowers in the Cape Region? 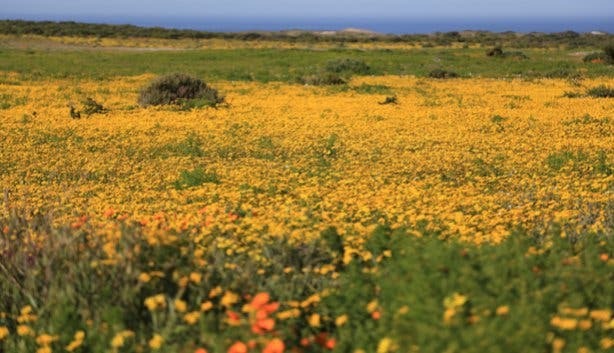 Spring flower season in the Cape Region runs from the beginning of August to the end of September; though, both the West Coast and the Tankwa Karoo national parks’ best viewing period is from the last two weeks of August until mid-September. Also, keep in mind that the flowers only throw back their delicate heads on sunny days. So, don’t go bloom hunting on a cloudy afternoon, and wait until the sun’s high in the sky (between 10:30am and 3:30pm is best) to take in the exquisite flora. Though, if making a mission to the West Coast National Park, it’s not a bad idea to arrive early in anticipation of potential queues. 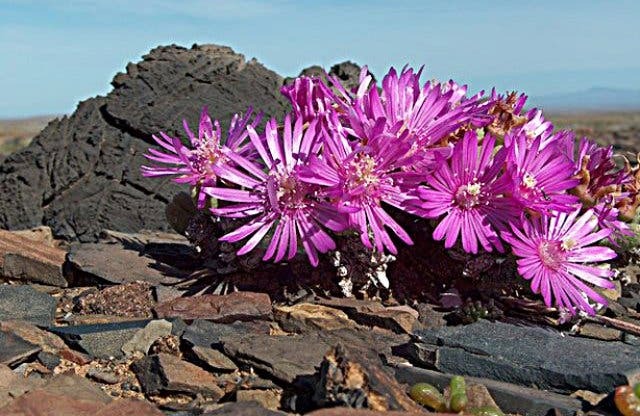 If unsure about whether the blooms are still on show, give the park offices a call (West Coast National Park: +27(0)22 772 2144 and Tankwa Karoo National Park: +27(0)27 341 1927). It’s also idea good idea to stop off at the park visitor centres to confirm the best viewing routes. 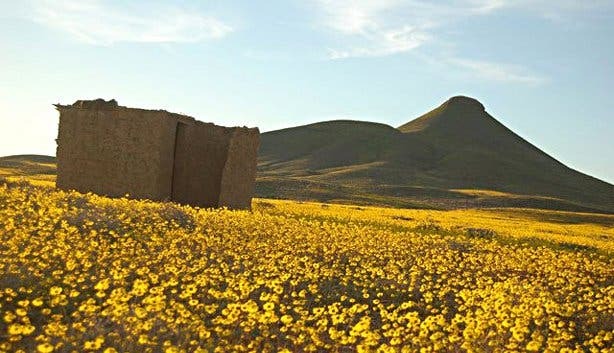 Can I join a spring flower tour or follow a spring flower trail? 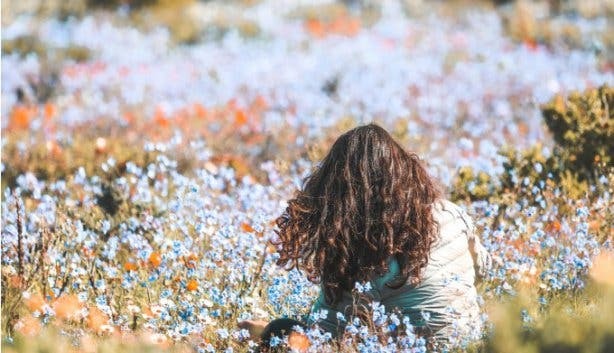 Postberg two-day trail: This scenic walk – it’s just less than 30km – gives hikers the chance to spend a night amidst the thick of spring flowers. Bring your own tent, supplies and energy and embark on a somewhat strenuous meander through the riot of wild blooms. Steenbok one-day trail: For a slightly less intensive day in the wild, consider tackling this 14-km hike. Part of it follows the same path as the Postberg trail, but all of it, as is the case with the previous route, entitles walkers to a firsthand glimpse of the park in the throes of spring. What else can I expect to see while on the lookout for spring flowers? Both parks are home to countless birds, bucks (large and small) and, of course, bugs! 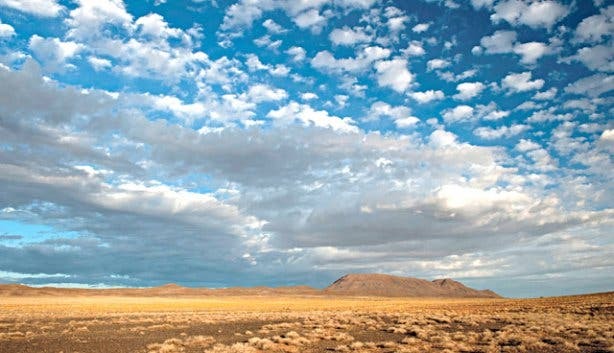 In the West Coast National Park, keep your eyes peeled for passing whales and dolphins, bat-eared foxes, honey badgers and mongooses; in the Tankwa Karoo National Park, you stand the chance of spying mountain zebra, kudu, aardvark, black-backed jackal and any of the 18 bird species endemic to the area. Can I make a weekend of spring flower viewing? Yes, in fact, we recommend you do. Both parks have reasonably priced on-site accommodation. 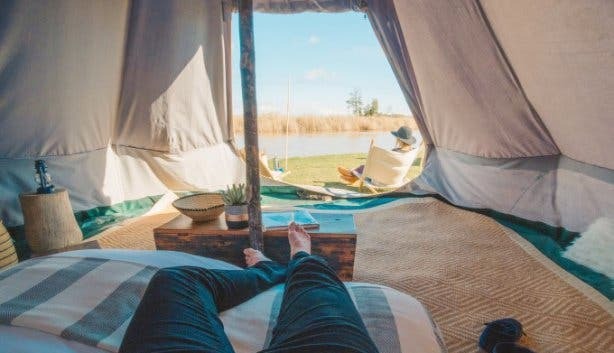 In particular, the Duinepos Chalets in the West Coast National Park - each has a fireplace to help weather the cool spring evenings - are perfectly situated to cater to those on the hunt for budding beauties. Similarly, Tankwa Karoo National Park’s units at Elandsberg Wilderness Camp boast a crackling hearth as well as stunning views of the Karoo plains and the Roggeveld Escarpment. Use our events section for an up-to-date overview of happenings in Cape Town. Also, don’t forget to subscribe to our newsletter, follow us on Twitter, like us on Facebook, join our Google+ circle, connect with us on LinkedIn and check out our Pinterest boards for updates.